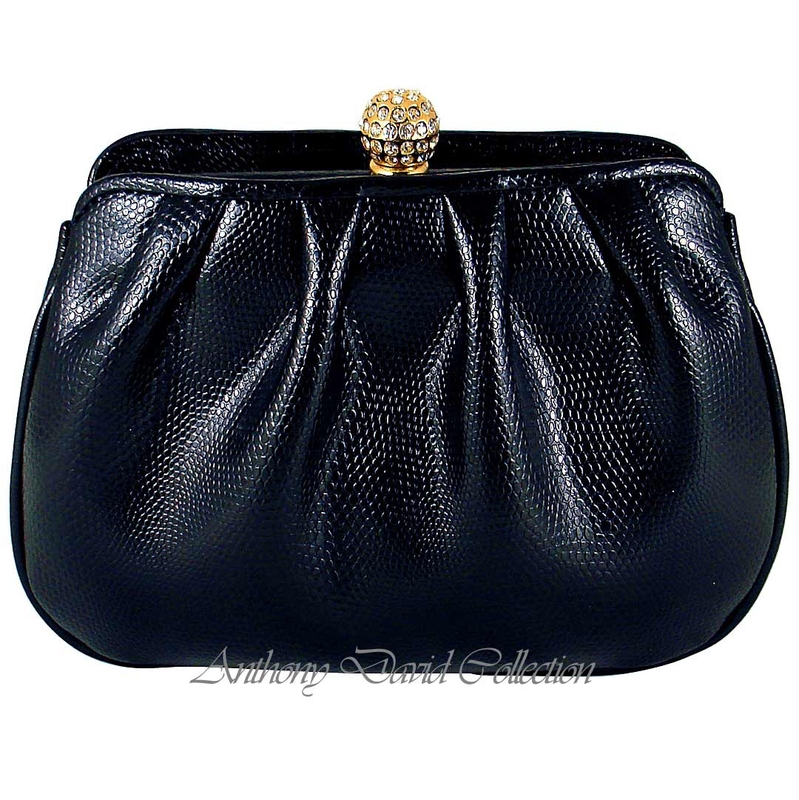 This Anthony David black leather day bag with gold metal is made from the highest quality cow hide leather and accented with Swarovski crystals. 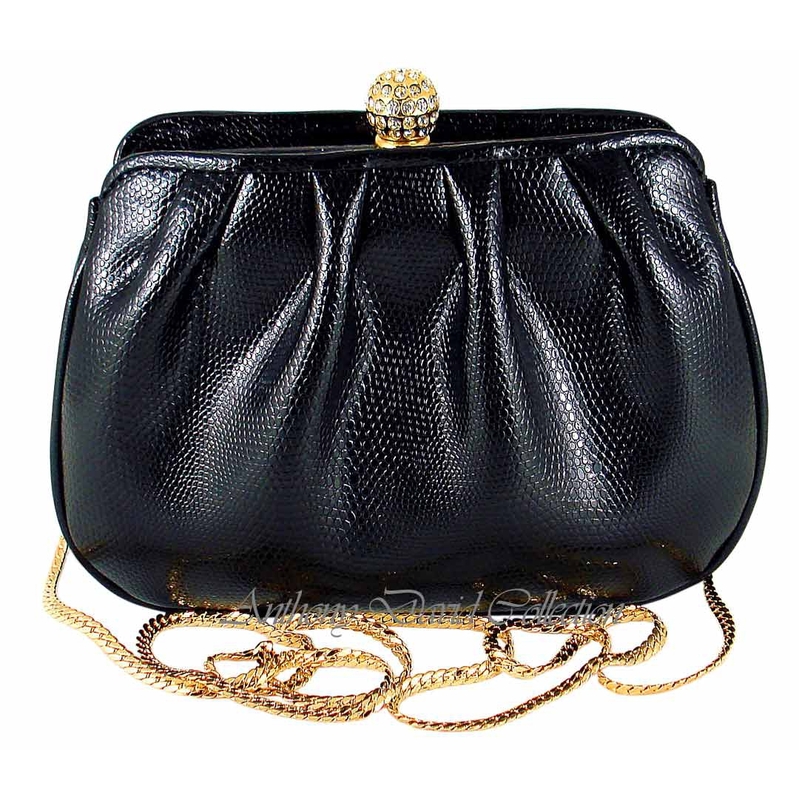 Carry this classic, yet simple, purse as a clutch handbag or wear it as a shoulder day bag with the included and optional shoulder chain. accented with clear Swarovski crystals. Highest quality lizard embossed genuine cow hide leather. Two large secondary storage compartments (one on each side of the primary enclosed pocket). Dust cover storage bag included.